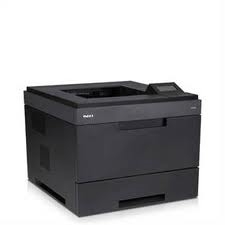 The Dell Workgroup Laser Printer 5330dn is a completely networkable monochrome laser printer with excellent print speed. Fast, robust, and affordable, the Dell 5330dn is built for the demanding enterprise network or office environment of tomorrow, providing high-speed and high-quality printing. Equipped with a built-in, two-sided print feature, the Dell 5330dn helps save time and money by conserving paper usage. Help reduce costs without sacrificing performance and speed with low toner cost per page.